Press Release - Smalley Steel Ring Company - 2015 Catalogue Now Available in Canada from RotoPrecision Inc.
Press Release - Smalley Steel Ring Company 2013 Catalogue Now Available in Canada from RotoPrecision Inc.
Mississauga, Ontario: The Smalley Steel Ring Company, world leaders in the manufacturing and development of Retaining Rings, Constant Section Rings and Wave Springs, announces the launch of a new Engineering and Parts Catalog. 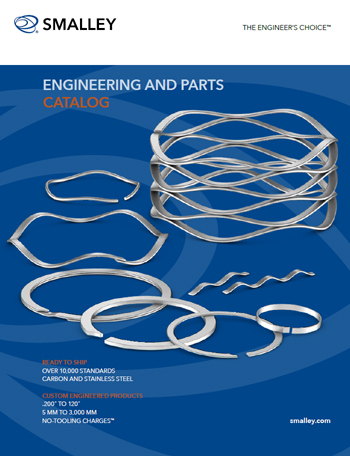 The new catalog is offered both in hardcopy and PDF for download. For additional information, please contact Application Support. This website is designed for Internet Explorer Ver.10 or better. If you need to update your version, please click Here.